Hector and Sue Badeau are a couple who have led an extraordinary life, and as such, have an extraordinary story to tell. And that’s exactly what they have done with their new book, Are We There Yet?. Hector and Sue were high school sweethearts who married with the plan of having two biological children, and adopting two more. But they found that love has no limits, and while they ended up fulfilling their plan of having two biological children, they far exceeded their original dream of adopting two children. The Badeaus adopted twenty children, from all around the world, children of different ages, races, backgrounds, and some with special needs. 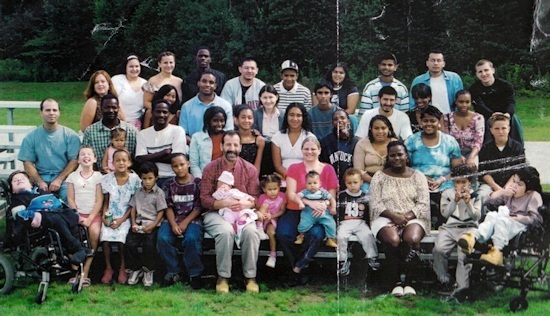 In addition to their family of 22 children, the Badeaus still felt called to open their home to more children. They served as a foster family to over 50 children, as well as accepted refugee youth from Kosovo, Sudan, and Guatemala. They also founded two adoption agencies together, and received an “Adoption Excellence” award from President Bill Clinton in 1997. What makes this family so extraordinary is how, in a world where unwanted unborn children are routinely killed, they have not only opened their homes and their lives to such a large number of children but worked to find other children forever families through adoption as well. They serve as a brilliant example of the power of life and love, and the difference it can make.